“`Politicos meet with foreign operatives to receive contributions that encourages the peddling of influence. I am not writing about a presidential candidate’s son, son-in-law, and campaign manager that recently met with Russian agents. I am referring to the very-real Abscam sting operation that took place in the late 1970s and early 1980s. “`The F.B.I., aided by the Justice Department, videotaped politicians accepting bribes from a fictitious Arab company in return for political favors. Over 30 political figures were investigated, and among those, six members of the United States House of Representatives and one senator, were convicted. One congressman did not accept any bribes. John Murtha, of Pennsylvania, would remain a distinguished member of Congress for the remainder of his career. 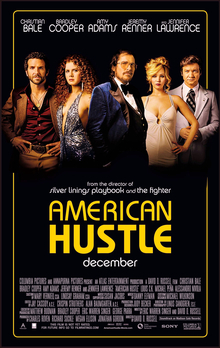 “`The Abscam operation is dramatized in a 2013 movie production, American Hustle, directed by David O. Russell. It’s described as a fictionalization, rather than a straight adaptation. The film featured Christian Bale, Amy Adams, Bradley Cooper, Jennifer Lawrence and Jeremy Renner. It received ten Oscar nominations, including Best Picture, Best Director, Best Original Screenplay, and, all four acting categories. It received zero Academy Awards. “`When the investigation became public in the early 1980s, an ethical controversy focused on the use of the sting technique. Ultimately, all Abscam convictions were upheld on appeal; but, some judges criticized the tactics used, and lapses in F.B.I. and D.O.J. supervision. Americans supported the operation; others argued that Abscam was an entrapment scenario. Among the concerns expressed were the undercover agents’ involvement in illegal activity, the possibility of entrapping individuals, the prospect of damaging reputations of innocent civilians, and the opportunity to undermine legitimate rights to privacy. Congressional concerns over the nature of sting operations still persist to this day. “`I know of one president who might express his concerns about this process of investigation… But, I digress. This entry was posted on Friday, July 14th, 2017 at 3:18 pm	and is filed under Blog by Manny Pacheco. You can follow any comments to this post through the RSS 2.0 feed. Responses are currently closed, but you can trackback from your own site.